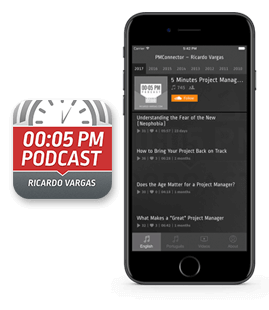 In this episode, Ricardo talks about one of the biggest obstacles to any transformation initiative: the fear of change. Fear is one of the fundamental principles of survival itself. However, when fear blocks the ability to progress, it becomes one of the worst enemies of projects and natural evolution. In the first episode of the year, Ricardo approaches the main trends he sees for 2019. This time he talks about his impressions about exponential technologies such as artificial intelligence, energy, transportation, genetics and their implications on our lives, our work as a manager of projects and in our society.